Well, it’s all systems go with lunch boxes for the start of the 2018 school year. How is everyone doing? Are you a seasoned professional, first-timer or perhaps you’ve upgraded from ‘part-time’ to ‘full-time’ like me? I’ve been packing lunch boxes for George (5) for a couple of years now, only ‘part-time’ (2-3 days per week) while he was at preschool, however now we’ve entered the ‘real deal’ of big school. So it’s 3 containers/lunchboxes a day – crunch and sip, recess and lunch – 5 days a week. Plus, add in Hamish’s (3) preschool lunch boxes now too. To add in to the complexity they each have different food preferences (and appetites!) so it is requiring some concentration to make sure I’ve put the right fruit or veg in the right lunch box! And the right quantity! It can be quite overwhelming for some kids to open a lunchbox with unfamiliar foods OR either too little or too much food. We’ll get there. But back to the nitty gritty. 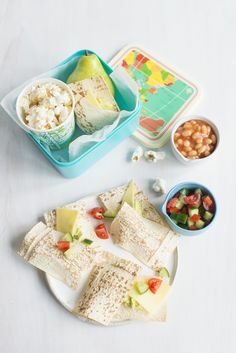 We know kids need a nutritious and varied diet with key nutrients such as quality carbohydrates, protein, calcium, iron, zinc and omega-3 fatty acids to help them learn and play, but how does that translate to what to include in your child’s lunchbox day in and day out? Having a simple checklist (either in your head or on the fridge) gives you an easy strategy to provide the majority of these nutrients each day. And offering variety through the week will help to maximise their overall nutrition. Leaving room, of course, for these delicious chocolate zucchini cake balls! Choose quality carbohydrates: Wholegrain breads, wraps, pasta, crispbreads and cereals, brown rice, quinoa and legumes are higher in fibre, B vitamins and folate and provide longer lasting energy than white and refined varieties, helping to keep children satisfied and be able to concentrate in the classroom. Include protein: It’s important for satisfying hungry little appetites and helping kids to feel full, allowing them to concentrate on learning and remembering. Lean red meat slices or meatballs, leftover roast chicken, lean ham, canned fish, eggs, hummus or cheese fillings are great on sandwiches. Cheese slices or sticks, yoghurt tubs, regular or flavoured milk, nuts (depending on age and school rules) or wholegrain muesli or nut bars are also sources of protein and great for snacks. Pack vegetables: They provide a variety of important nutrients, and add fibre and bulk to their diet. 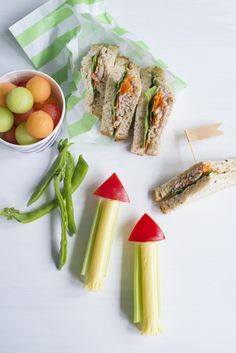 Depending on the age of your child, pack cherry tomatoes, carrot, capsicum or celery sticks and even snow peas as snack options and include salad fillings on sandwiches such as lettuce, grated carrot, cucumber. Some kids love homemade dips and these can help enjoyment and acceptance of veggie sticks. 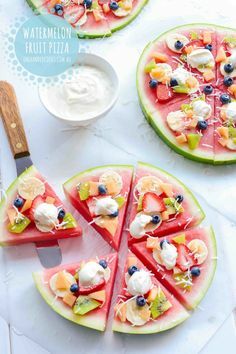 Provide fresh fruit: It’s a more nutritious, nutrient rich, higher fibre and satisfying option compared with juice or processed fruit snacks, and lower in sugar and energy compared with dried fruit. Fruit which is local and in season is most likely to be the cheapest, tastiest, nutritious and most enjoyed. Include water as a drink: It’s essential for keeping hydrated. Pack frozen water bottles or add ice cubes to their drink bottle if your child prefers colder water – especially on hot days. Try to avoid juices, cordials and soft drinks. Kids smply don’t need them. An important note on balance and enjoyment: being consistent with healthy eating at home and a healthy balanced packed lunchbox means there is room for sometimes foods. This is an important part of normal eating. It also helps to prevent your children from ‘swapping’ their lunch for the colourful pre-packaged foods that other children may have included in their lunchbox. If this is totally up your alley, this post on our favourite freezer friendly lunchbox sweet snacks is a must read. Like anything practice brings knowledge and understanding. 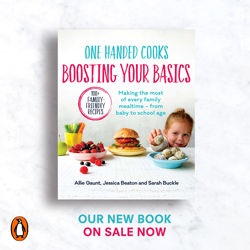 So if this is new to you, or your child prefers the same food in the same way everyday, give yourself and your child a little time to find your new groove and the balance of what they love, what they’re learning to love and what you’d like them to love! Please join us on Instagram for some more behind-the-scenes lunchbox inspo and tips and tricks.